Having a presence at an industry exhibition can be a great way to reach new customers – you need to make sure that everyone you encounter remembers your company if you are to maximise your return on investment. Make sure people know you will be attending – of course you could put a banner on your website or in your email signatures but why not consider sending a branded USB flash drive to key contacts announcing your attendance and previewing your offerings? 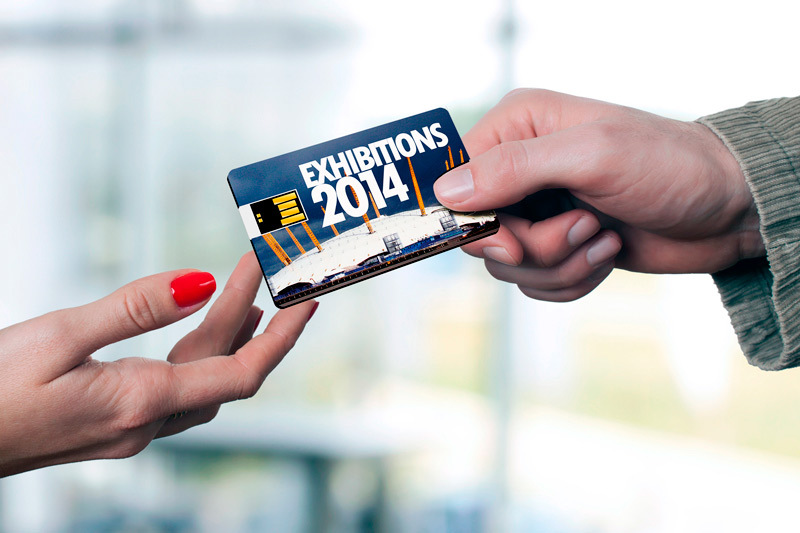 Attract people to your stand – there could be dozens of companies on display. As well as making your stand interesting why not attract visitors with the prospect of a free promotional flash drive, loaded with exciting content? Every individual you attract is a potential lead for you to secure for your business. Be remembered – brochures and flyers will be quickly put aside once the exhibition is over but a custom branded USB flash drive, loaded with your digital marketing material will be used for months and years to come. This gives your brand long term, repeat exposure to your target customer and ensures that your presence at the exhibition has the maximum chance of winning you business. Call us today or fill in our quote form and we’ll get back to you. We’ll help you through the order process and you could have your new promotional USB flash drives in just 6 days.